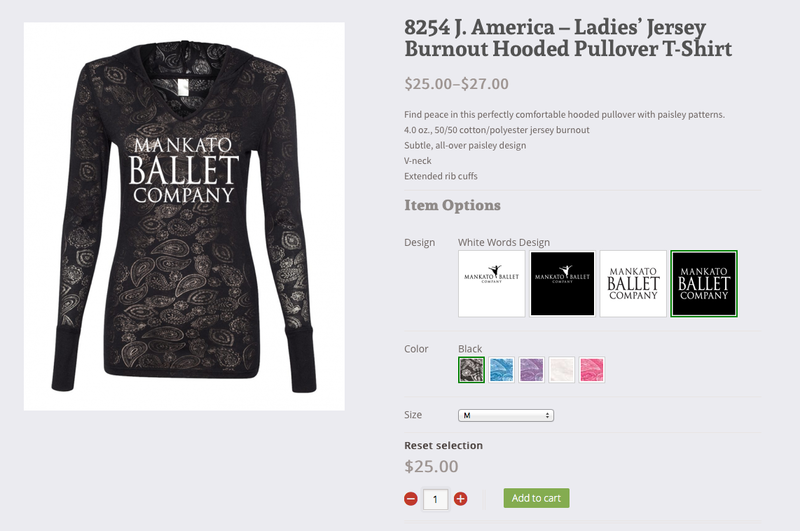 The Mankato Ballet Company is pleased to offer merchandise from our online store. 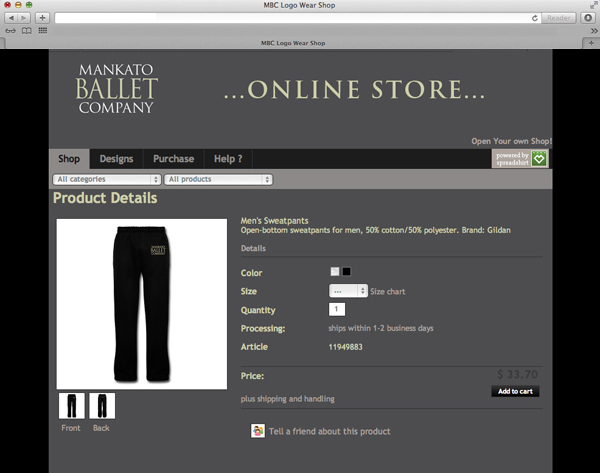 Our online store is through B Stark & Co. located here in Mankato. Items can be conveniently picked up from B Stark when they are completed to save you on the shipping charge. To visit store please click here. Mankato Ballet Company makes no profit off this merchandise. We want dance attire to be affordable and realize that when you wear our logo ware you are advertising for us! So thank you!! !